We are chartered accountants in Birmingham with extensive experience in dealing with diverse clients. We take pride in our rich history of delivering results to customers and being the best accountants in Birmingham. We have been able to set ourselves apart from rest of the Birmingham accountancy firms by the professionalism and expertise we bring to every process. Whether you are starting a new business or planning to expand an existing one, our chartered accountants will lead you through all the intricate processes. Our motto is to provide exceptional service to all our clients at reasonable rates. Expert team - Our chartered accountants in Birmingham are highly skilled professionals in accounting and finance. They have acquired extensive experience by helping a large number of customers. Our accountants have been certified by professional accounting bodies and offer top-notch services. They combine competency and dedication to help you resolve your financial decisions. They ensure that all the services are flawlessly executed. Top quality solutions - We do not make any compromises when it comes to quality. By choosing our accounting firms in Birmingham, you will get access to the finest services and facilities. Our accounting software is one among the best in the UK and is available for free to our clients. DNS Associates have won numerous accolades for their excellent service. Our team of accountants in Birmingham will seamlessly take you through the tasks. With our keen focus on integrating expertise and excellence, we can give you the guarantee of best results. We possess a loyal customer base, a testimony to our eminence in the field. Personalized experience - We understand that a unique approach is needed while tackling each challenge. Strategies which work for a big firm might not bring the best results when applied to a small business. This insight helps us to focus on your specific needs and offer exactly what you need. Our services are tailor-made to suit your demands thus guaranteeing the best outcomes for you. As certified chartered accountants in Birmingham, We help individuals and enterprises to achieve their goals. Exceptional customer service - Every client is special to us. We aspire to give you the best service we possibly can. We offer each client a dedicated account manager who will take care of all their requirements. You can expect high quality customer service from us. Our enthusiastic team members are always willing to listen to your needs and are available to guide you through complex procedures. We are even willing to work with you during the weekends. Affordable service - We not only help you save money by providing proper guidance, but our services are also priced reasonably. We provide different packages to help you meet your requirements. Starting from the step of company formation, we offer enterprises a dedicated team to manage their specific requirements. In this dynamic field, we go to great lengths to keep ourselves updated on the changes and latest technologies. With our comprehensive accountancy services in Birmingham, we aim to give you observations so that you can make good decisions regarding the business. Once you get a deep insight into the performance of your enterprise, you will be able to assess its present condition and make plans for future growth. Our fast and efficient system will let you easily form a limited company You just need to complete a form and we will take care of the rest for you. You can get access to our Payroll service free of cost if you use our company formation package. Our services guarantee you an efficient payroll management system, essential for a good working atmosphere. Our end of the year accounts services give you a clear insight into the functioning of your business. We also compare it with the previous year performances to observe the trends which let you identify problem areas and improve the business. Our services will simplify VAT registration and returns for you. The preliminary decision is to assess whether you need to register or not. Based on that, we proceed to further steps. Our Birmingham accountants will keep you regularly updated on the VAT regulations and carry out your VAT returns efficiency. Do you feel that you are paying too much tax? It is time to revisit your tax planning strategies. We are experts in tax planning, tax investigations, tax credits service and self-assessment tax return. Our tax accountants in Birmingham will solve all your tax related concerns. We offer expert advice on tax planning to individuals for their personal tax. We have helped hundreds of clients manage their personal tax and have an abundance of experience in the field. Most people find tax filing a daunting task. With our efficient service and expert chartered accountants in Birmingham, you will be able to handle it with ease. Our prompt services ensure that your tax returns are filed with care and within the required timeline. With our insightful guidance, we focus on helping clients save money and prepare in advance for their future requirements. We also take care of corporate tax planning, helping companies to mitigate the tax burden while adhering to tax laws. We focus on increasing your company’s profits. When it comes to income tax, many users are unaware of the personal tax allowances and fail to make the most of it. We will analyze your tax profile to provide you with a well-rounded strategy. DNS Associates aims at making all your accountancy and finance related tasks efficient with our straightforward approach. Whether you want to form a limited company or perform VAT registration, our experts will guide you through every step. We also provide special packages for small businesses accounting in Birmingham and contractors both offer the highest value services for your money. We have made a mark as one of the most trusted accounting firms of Birmingham and you can also avail our accountancy services at Wolverhampton, Cannock, Coventry, Solihull and West Bromwich. 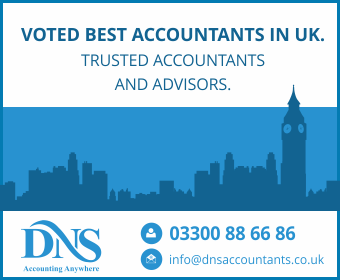 Get in touch with us to experience the high quality accountancy services of DNS Associates.